Here’s a couple of posters I designed for a client some time back, both of them are vintage, Victorian-inspired steampunk styled efforts. 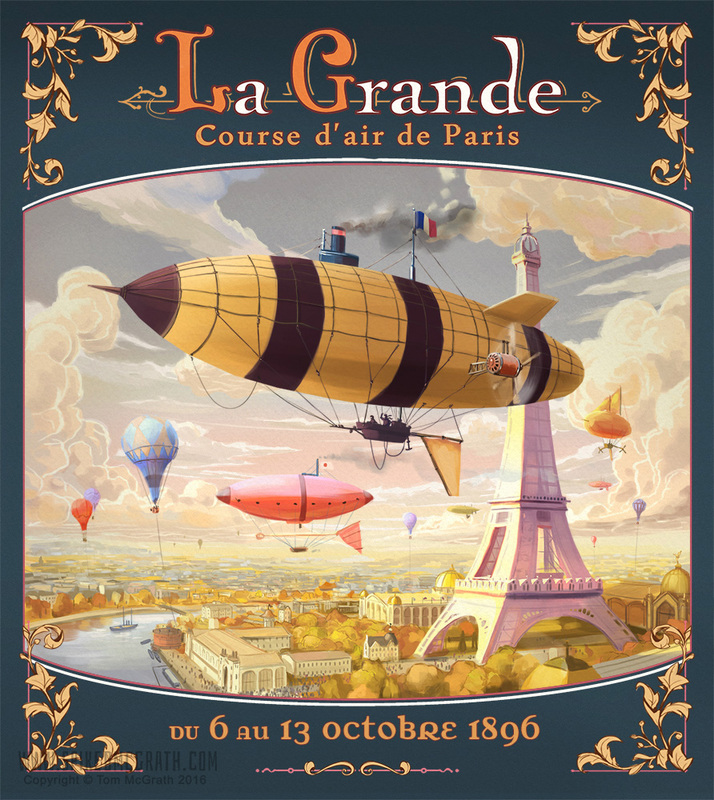 The first is a poster for a fictional airship race over the streets of Paris. “La Grande Course d’air de Paris!” I spent a long time trying to match up google Earth data with old photos of the city to get as realistic impression of the city in 1986. The design even features an old version of the Eiffel tower with it’s original top and it’s briefly-featured yellow ochre paint job. 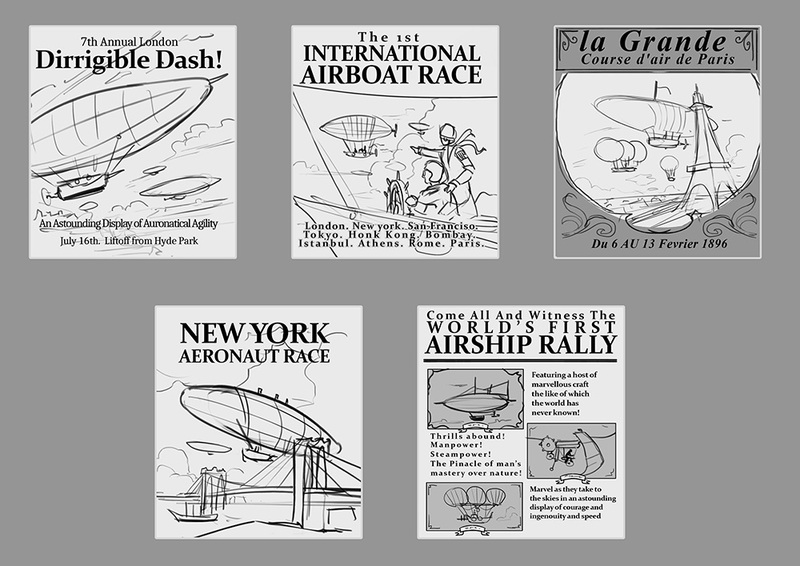 Below are the thumbnails I presented to the client with the possible options for the finished illustration. I often think that some do a much better job of selling the idea than others and I’m often surprised by what gets chosen. 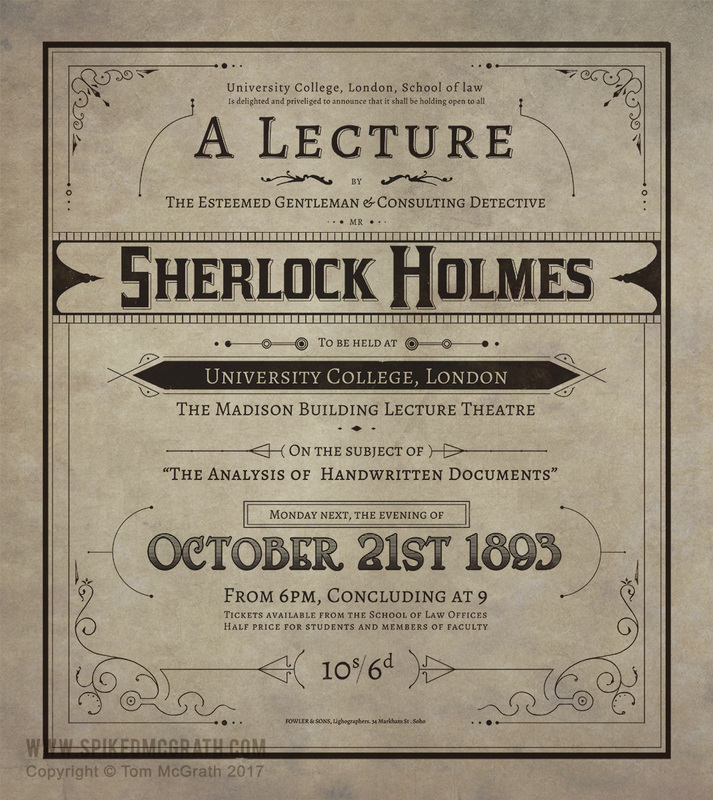 The second poster is a handbill advertisement for a lecture by the Great Detective himself- Mr Sherlock Holmes. This one features a purely typographical approach, with hand-drawn decoration similar to some period examples. There’s a whole world of Victorian typography and hand-drawn lettering out there that’s really incredible. Despite it’s imperfections, hand-drawn lettering has a lot more charm than a digital font. It’s definitely something I’d like to explore further in future.